1. John Kander and Fred Ebb, who wrote the great songs for Chicago, also wrote the original music and lyrics for Funny Lady, the sequel to the film Funny Girl. What popular actress starred in both? 2. The team of John Kander and Fred Ebb, who wrote the terrific songs for Chicago, also provided the music and lyrics for the musical Woman of the Year. What famous actress starred in Kander and Ebb’s Woman of the Year on Broadway? 3. Chicago songwriters John Kander and Fred Ebb also wrote the musical The Happy Time. Name the actor who won a Tony Award® for his role in this Kander and Ebb Broadway musical. Hint: this actor played Lancelot in Camelot. Who is the actor? 4. Chita Rivera has starred in three John Kander/Fred Ebb musicals. Name one. 5. Liza Minnelli made her Broadway debut in this Kander and Ebb musical. Name the musical. 6. The acclaimed Chicago songwriters John Kander and Fred Ebb wrote this hit song recorded by both Liza Minnelli and Frank Sinatra. Name the song and the film it is from. 7. Liza Minnelli won a Best Actress Oscar® for what Kander and Ebb musical? 8. Chicago songwriters John Kander and Fred Ebb began their partnership with a hit song entitled “My Coloring Book.” This song became a hit thanks to the singer who recorded it. Who is the singer? 9. Chicago songwriters John Kander and Fred Ebb have written many hit Broadway shows and many hit songs. In their partnership, who writes the words? 10. Lyricist Fred Ebb co-wrote the script for the smash hit Chicago with what legendary showman? 11. Chicago songwriters John Kander and Fred Ebb have garnered three Tony Awards® for their Broadway scores. 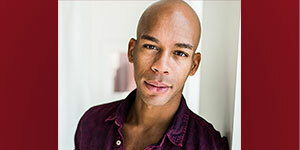 Name one of their Tony Award®-winning scores. 12. What two John Kander/Fred Ebb collaborations have won Tony Awards® for Best Musical? 13. Name one of the two Oscar®-winning films that Chicago composer John Kander wrote the musical score for? 14. Chicago lyricist and co-book writer Fred Ebb is a native of what major U.S. city? Hint: he wrote a song about his hometown and Frank Sinatra and Liza Minnelli both made it famous. 15. Chicago composer John Kander wrote the dance arrangements for this legendary Broadway show starring Ethel Merman and directed and choreographed by Jerome Robbins. Hint: Stephen Sondheim wrote the lyrics to Jules Styne’s music. 16. Bob Fosse, Chicago’s original co-author and original director/choreographer, has the distinction of winning three of show business’s highest awards all in the same year, 1973. He won a Tony® for what Broadway show? 17. In 1973, Bob Fosse won an Oscar® for directing what movie? 18. In 1973, Bob Fosse won an Emmy® for directing and choreographing what TV special? 19. Bob Fosse began his professional stage career in what appropriate city? 20. Bob Fosse co-authored/ directed and choreographed the original Broadway production of Chicago for this famous performer? Hint: she was also his third wife. 21. The thrilling Chicago dances were staged by Ann Reinking using what famous choreographer’s style? 22. What classic Bob Fosse musical film did Ann Reinking co-star in? Hint: it has the same title as the opening number in Chicago. 23. Ann Reinking, Chicago choreographer, performed in the original 1975 production. She took over from what stage legend? 24. 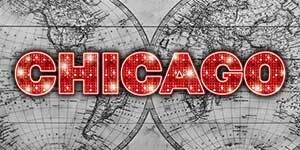 The Broadway musical Chicago is based on what 1926 play? 25. What famous director staged the original production of the satirical comedy that the Broadway musical production of Chicago is based on? Hint: He lived to be over 100 years old. 26. The story of Chicago has been filmed twice, once in 1928 as a silent film version and then again in 1942. What was the name of the 1942 film? 27. Who played Roxie Hart in the 1942 film version? 28. 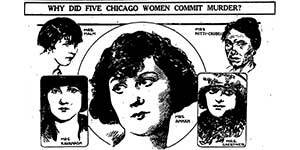 Maurine Dallas Watkins, the author of the original play Chicago had how many hit Broadway plays after Chicago? 29.Maurine Dallas Watkins, the author of the original play Chicago, studied with the same legendary playwriting teacher as Eugene O’Neill and George Abbott. Name this famous writing teacher. Hint: He taught at Yale University. 30. 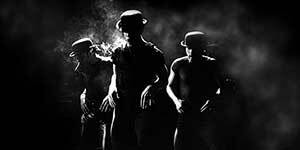 Why did it take original director/choreographer Bob Fosse 13 years to secure the rights to make the play Chicago into a musical? Q27 Answer: Ginger Rogers in the title role. Q28 Answer: None. Her only other Broadway play was entitled Revelry, and it ran a modest 48 performances. Q30 Answer: The original playwright, Maurine Dallas Watkins, never wanted to let anyone have the rights. It wasn’t until her death in 1969 that the rights to her play Chicago were released by her estate. 31. Before the Academy Award®-winning film of Chicago was released, there was another film released, entitled Roxie Hart. Who starred as Roxie in this film? 32. Who played Roxie and what actress played Velma in the Academy Award®-winning film? 33. How many Academy Awards® did the film win? 34. What popular German cabaret singer originated the role of Velma in the Award-winning production in London? 35. Richard Gere played the role of Billy Flynn in the film, Chicago. What current TV star was the original Billy Flynn when the show opened on Broadway in 1975? Hint: Stars in Law and Order. 36. What hip-hop/rap artist played the coveted role of Matron Mama Morton in the film? 37. Who did the honors of directing and choreographing the Academy Award®-winning film?